Go one-on-one with great minds of medicine in an audio program that enlightens, informs, and ultimately, empowers you. These absorbing interviews feature five of the world's top specialists chosen by the editors of Health Magazine. They offer valuable information in a way that is understandable, accessible and easily absorbed. 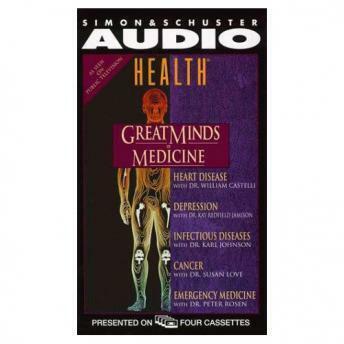 Immerse yourself in the wisdom and philosophy of the medical world's foremost leaders in this compelling audiobook hosted by Laurie Garrett, Pulitzer Prize winning reporter and author of The Coming Plague.